No one predicted that the Redskins would beat the Broncos. People thought this was going to be a high-scoring game. They were right, but the outcome was not what was expected. Both the Redskins and Broncos defenses have struggled defending the pass in recent weeks, and the Skins have struggled further with the run as well. 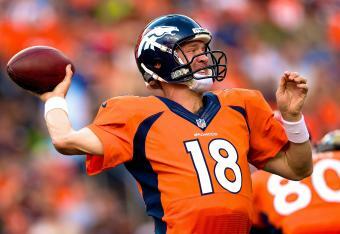 Peyton was poised for a big game, but the first half did not seem like it. While the Redskins continued to present their anemic in the first half, the defense stepped up big. Giving up the first touchdown to the Broncos, Peyton was held in check for the rest of the first half and RGIII was able to find Hankerson in the endzone for a TD near the end of the first half. The third quarter was a wild one. While the Broncos started with the ball, Peyton turned it over on a fumble and Morris finished a quick drive on 3 rushing plays to get the touchdown. Peyton’s next drive ended quickly as well, as DeAngelo Hall picked off a pass and ran it back for a touchdown. All of a sudden, Washington found the tide turned in their favor. The problem was that they were playing against Peyton and the Redskins are suffering from an imbalanced coaching scheme. The Broncos turned everything around and racked up 35 consecutive points, turning a 14-point deficit into a 23-point victory. The Redskins seem to find new problems every week and cannot shake off the old one. The special teams played better overall, including a great return by Josh Morgan, but failed on a Sam Rocca punt that only went for 10 yards and gave the Broncos incredible field position. The team fell back into their 3 and outs but also had 5 turnovers in 6 drives. The second half quickly got out of hand when the Broncos offense picked up their speed and Shanahan decided that the run game that got them to their lead was no longer good enough to run the offense. The Broncos offense was getting to RGIII and the receivers were not getting open, so it makes perfect sense to continue to risk him and his health (which led to a big hit and a potential left knee sprain). Cousins tried to finish the game but gathered 2 of those interceptions. Morris continued to look like he was coming back into form. While RGIII struggled after the lead built up in the 3rd quarter, he was able to get a bit of a rhythm earlier this time around than previous games. 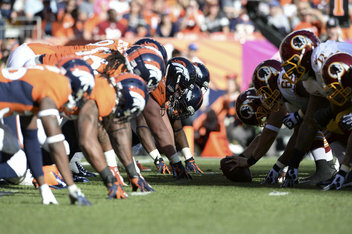 The defense keyed in on Manning and held the Broncos to just 7 points and a bunch of yards in the first half. This extended into the 3rd quarter. Shanhan’s playcalling is definitely suspect. When the team was down in previous games, it made more sense to throw the ball more. It does not make sense when you are up by 14 points in the 3rd quarter. The Redskins were excellent last year because of the run, but they seem to abandon it at all costs. The defense still cannot stop teams from points and yards. While we great in the first half and them could not protect to save our lives (even though Peyton is one of the best in the game at reading defenses). RGIII is not making good reads. I hate to criticize him but he missed multiple reads on shorter passes to try to go for the hail mary and miss badly. Turnovers are killing them badly. The last 7 drives included 4 interceptions and a fumble. Don’t forget about the shanked punt. The Bucs continue to deteriorate and now fans are calling for Schiano’s job. The Panthers rode 3 TDs by Newton to take the victory easily. The Cowboys thought they had it won with a 6-point lead and 1 minute left. 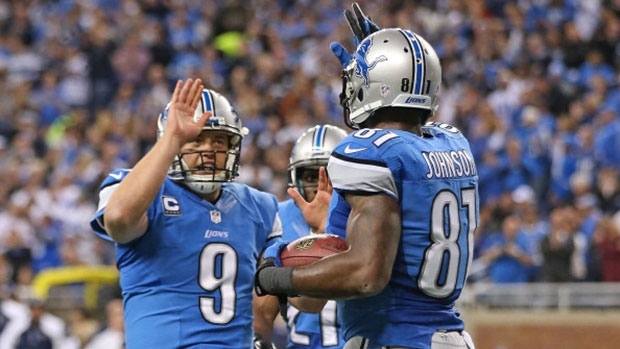 Stafford had other plans and put together a fantastic drive to get the 1-yard TD run and the win. The Browns threatened in the 2nd half but the Chiefs have advanced to an 8-0 start. While the Dolphins played well in the 1st half, Brady got back on track in the second with Stevan Ridley to steal the win 27-17. Brees threw for 5 touchdowns in a blowout of the Bills, who started the game off with 2 fumbles by QB Thad Lewis. The Eagles suffered the injury bug with Vick going down yet again, so the Giants only needed 5 field goals to finish off the now anemic Eagles offense. The 49ers rolled over the Jaguars in London behind a major effort by the passing and running game of Kaepernick. The Bengals roared and destroyed the Jets with Dalton’s 5 TDs and Geno Smith’s 2 INTs. The Raiders got quite the performance from the recording-breaking Pryor 93-yard rushing touchdown and finished off the Steelers 21-18. The Cardinals defense were the real victors of this matchup with the Falcons as they stole away 4 interceptions from Matt Ryan. Minnesota continues to rotate between 4 options at QB but nothing seems to be working, especially when they had to go up against the Packers and lost 44-31. Seattle continued to stay atop the NFC but did lose Rice for the rest of the season in their tight win against the Rams, 14-9.